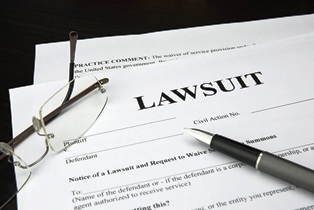 Are mesothelioma lawsuits class actions or individual cases? Mesothelioma lawsuits are individual cases. In 1997, the United States Supreme Court affirmed a prior ruling of the Third Circuit Court of Appeals regarding mesothelioma class action cases. Is exposed to asbestos in the same way. Is exposed to the same asbestos products. Develops the same diseases or health conditions from the asbestos exposure. The U.S. Supreme Court affirmed the Third Circuit Court’s decision in the case of Amchem Products Inc. v. Windsor. Class actions, by definition, involve many people, which can slow down the decision making process in a case, sometimes by months or even years. This estimation is based solely on your personal damages, not an overall average of everybody involved in a class action lawsuit. You may also benefit from your lawyer’s personalized attention to your claim. If you have mesothelioma, or a loved one recently died from mesothelioma, then you may be able to bring an individual lawsuit. While individual mesothelioma cases can result in significant recoveries, they may also be complicated to resolve. However, you don’t have to file your case or handle the litigation alone. Instead, you have the right to work with an experienced mesothelioma lawyer. Our attorneys know understand these complex cases, and we're committed to fighting for our clients' personal recoveries. To learn more, please download our free guide, Mesothelioma and Your Legal Rights. Also, please contact us online or call our office directly at 318.541.8188 to schedule a free, no-obligation consultation. At this meeting, we can discuss your rights and review the process of building a mesothelioma case. If we decide to work together, you won’t owe us any legal fees until after your claim has settled. Then, we'll receive a fee based upon a percentage of your recovery that we agree to in advance. There aren't any upfront costs required to get the legal help that you deserve. How Can I Tell If I Was Exposed to Mesothelioma in the Past?